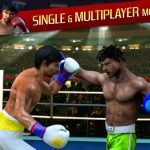 With the Rocky spinoff Creed arriving in cinemas right in time for Thanksgiving, Vivid Games has just released Real Boxing 2 Creed for iOS devices. 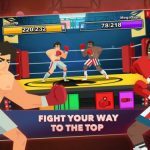 It is indeed the movie’s official mobile game, as it allows you to train with Rocky Balboa himself, and fight your way to the world championship. You will be playing the role of Adonis Johnson, son of Rocky’s rival and (eventual) friend Apollo Creed, and as you win more fights against AI and human-controlled opponents, you’ll unlock special items and level up your character’s abilities along the way. 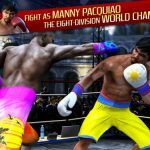 This game also happens to be the sequel to Real Boxing, which is available on both Android and iOS – no word yet when the new game’s Android version will arrive. Want to keep the legacy of Apollo Creed – and Rocky Balboa, in a way – alive as you take control of his son’s boxing career? We can help you with that through Level Winner’s exclusive list of Real Boxing 2 Creed tips, cheats and hints. Well, maybe not button-mashing in the truest sense, as you’re playing a mobile game. But you get what we mean – randomly tapping and bashing away is not the way to win boxing matches! It’s going to tire you out, and when your stamina is low, your punches will slow down and you too will slow down. This will make you more vulnerable to counter-punching. Don’t play this game arcade-style – do it like the real boxers do, keeping track of your stamina and punching smartly. 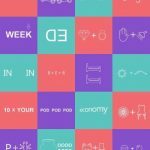 That actually leads us to the next tip – you want to punch smartly, which means making sure your punches land most of the time. You won’t be able to do that if you just keep on tapping arbitrarily. Like in many a game, there is a star system, with three stars the most you can score per level, and your star level will depend on the percentage of punches that had connected. To increase that percentage, study your opponent’s body language and use that to determine whether he’ll be attacking, going on defense, or whatnot. It’s obviously easier on your fingers, and it works really well as opposed to the punches you throw by tapping. Hold down in order to go for a charge punch, may it be an uppercut, a jab, or a hook, and wait for your gloves to glow, as that means you’re “fully charged” and ready to go. Letting go of the screen will allow you to land a more powerful blow. However, you shouldn’t go for charge punches all the time, as they take some time to charge up and many an opponent will choose to fight defensively. If your punches tend to be blocked more than useful, it’ll be wise to mix things up with a few light taps on your screen. It’s so easy to fight offensively in games like this – in fighting games, I personally prefer fighters who are strong offensively, and I tend to prioritize attack over defense. If that’s the way you also play, that’s fair enough, but you should also mix in a little defense by hitting the block button at the right time. Take advantage of what we told you a few tips ago – you shouldn’t let loose with rapid-fire punches or you’ll tire too easily. When you’re not punching, try to play defensively by moving around and blocking; this works especially well if your opponent tends to favor an attacking style. Make sure you go to the gym for training, and when you’re training, make the most out of the time you’ve got in there. All actions in the gym made while the timer is running will help you upgrade your abilities, and once you’ve scored enough and filled the bar up completely, that will give you a permanent upgrade for the stat you’ve chosen to train. You want your fighter to be ready for the opposition as they get tougher, and you can do that by having him train regularly. Another way to make your fighter better is to buy some gear for him. This equipment does more than just change how your fighter looks – it could also improve certain statistics that could give you an advantage over a tough opponent. Some pieces of gear may be expensive, but often prove to be worth the big investment.